The plot was well thought out and executed and some of the characters drew me into their lives but I actually found the bad guys to be a bit more understandable. So I kept telling myself, this is the first in the series, be patient, it will come together towards the end. What I didn't like: Rant alert!! I absolutely could not believe in the main character and her life. I have no idea how many times I just wanted to smack the crap out of her. I couldn't find anything to connect with in her portrayal. Not only was she selfish but my gosh, she "had feelings" for so many men, I just....blah!!! It seemed like every time I flipped a page, Lorne was flirting with someone or remembering a relationship she had with someone else. She didn't listen to her partner, DS Pete Childs at all. It almost appeared as if she looked down on him. Most partners development some kind of relationship but not in this case. Well, they did have a relationship but it was always to Pete's detriment. 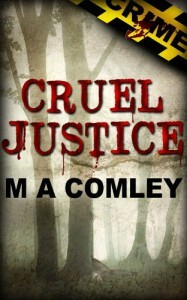 She was extremely unprofessional in just about every situation Ms Comley concocted for her. You're not gonna believe this but I picked up the second and third in the series because it was a Kindle deal. I even read part of the second book, up until a bad guy kidnaps, terrorizes and abuses Lorne's daughter. I put it down and will not be continuing with the series.